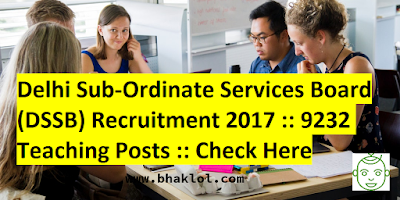 Delhi Sub-Ordinate Services Board(DSSB) has released Notification for the recruitment of 9232 teaching posts. Online Registration of Application will begin fro 05th January 2018. Exam Date : Yest to be announced.